We are a small local community academic skills center located in the community room of the Harriet Tubman Housing Complex. With a history spanning over 19 years, we have a passion for instilling a love of learning within our inner city youth. 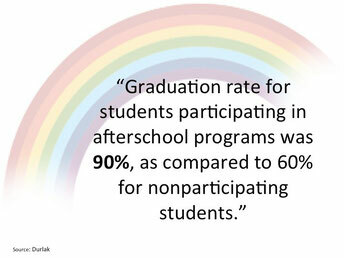 Our program is home to students from Kindergarten through Fifth grade. After advancing to Middle School, students are invited to use the program center to complete their homework and to become MENTORS for the younger students in the program. HTASC is a community outreach mission of the Poughkeepsie United Methodist Church. It is through the generosity and commitment of PUMC that makes this program possible. Additional funding for the program is provided by Dyson Foundation, Community Foundation, Dutchess County Agency Partnership, and individual donations. Thank you so much for your interest in our program! We hope that our website will provide you with all the information you need to begin your journey with assisting in the education of our students. 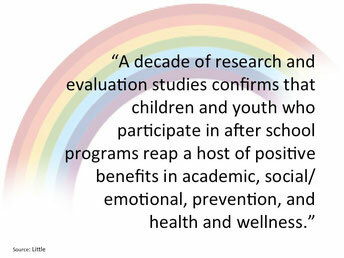 We have designed our program based on observational data from experiences within the community over the past 19 years. We recognize that many children need help completing homework assignments, even if it's just keeping them focused and on-task. 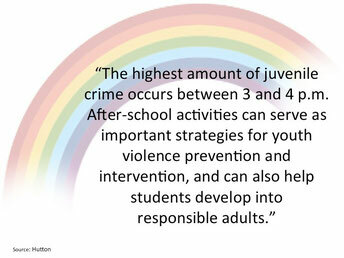 We also recognize the need to offer students fun and engaging learning opportunities in the hours after school. 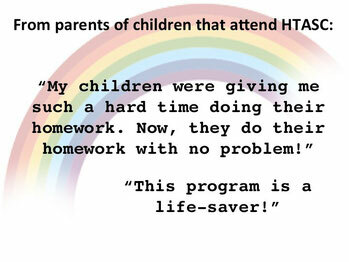 HTASC is NOT babysitting! Rather, our program seeks to challenge students to learn and grow in the time outside the classroom. Our multimodality approach provides our youth with a variety of learning experiences which makes their learning more meaningful, enriches their lives and ensures their success in school, community and life.